African love – The African Affairs on Sekou's Style. The African Affairs on Sekou's Style. Empowering and enlightening people about Africa one post at a time. Is Charles Fall’s Victory A New Hope For African Immigrants in New York’s Politics? Blue wave or not, Charles Fall, first generation American of Guinean immigrants winning New York State Assembly seat (for district) is a welcoming and an inspiring news to the growing African population in New York, especially the young ones who may be interested in joining politics. Tuesday night, as journalists and political pundits analyzed and discussed the substance of the elections, some African immigrants across New York but mainly around Staten Island gathered at the democratic victory party to cheer the young, brilliant and energetic Charles Fall as he delivered his victory speech. In his speech, he pledged to advocate for the people of his district and he also acknowledged the role his parents played in inspiring him to serve. Although I couldn’t be there in person, I was there in spirit and fortunate enough to watch it via Facebook live. Charles is a 29 year old who can serves as inspiration for many African immigrants in New York. He obtained his Masters in Public Administration from Pace University in New York and a Bachelor of Arts from Southwestern College in Kansas. He is married with a daughter. Not to delve into his credentials and biography too much, as most of the information are available on his website. Author Sekou KessePosted on November 11, 2018 November 11, 2018 Categories African Immigrants Involvement in American Politics, African Leadership, Integrity Matters In Public Service, UncategorizedTags African love, American politics, Charles Fall, Government, Immigrants families, Integrity, Mid term Elections, New York, New York State Assembly, Public Service, voting2 Comments on Is Charles Fall’s Victory A New Hope For African Immigrants in New York’s Politics? 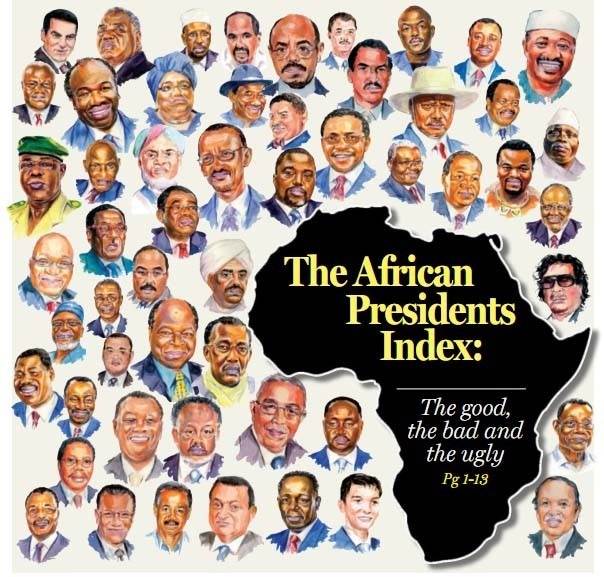 Importing western ideas is not new or the problem but leadership is… African Leadership Crisis. A friend of mine asked me about my thoughts on the issue of importing American/Western style of government and practices into African politics and government. The first thing that came to my mind were interesting Facebook postings comparing the American politics and government to those of African countries after a great State of Union Speech delivered by President Obama. Hence, my initial thoughts were that importing American ideas into African politics and government is a waste of time, because, logically it seems as a simple case of an orange and an apple comparison or a false analogy. However, after reflecting on the concept for few minutes, I realized that importing American/western ideas into African government and politics is not a new phenomenon. It has been so since the existence of modern African governments. Therefore, it should be viewed as updating a concept. In that case, if done properly in the African context, it would be a good thing. However, importing ideas is not the real problem. Instead, the real problem is leadership crisis around Africa. A quick glance at the history of modern Africa illustrates that current Africa political and government system is a type of governance forced upon African people since the 19th century until now. So importing American type of government and principles is a mere updating of the system as former colonial masters’ expected. Modern African countries were built based on foreign concepts, and not on indigenous principles of governance. For instance, my native Liberia, one of Africa’s first Republics moot, is a “duplication” of the U.S.A. form of government with minor differences. Even, the notion of Independence and Human Rights prescribed in the UN Charter and the Universal Declaration of Human Rights that advocates for self-determination, which influenced African leaders to demand their freedom and sovereignty takes its roots in Western philosophies. African Revolutionary leaders like Kwame Nkrumah of Ghana and others were trained in the Western world with a western ideas and principles. It is sad to admit that modern African’s government and political system is an imported one. Further, most of the existing institutions and societal norms (e.g. religion norms) are imported as well. As a result, African countries are constantly playing the “catching up” game with the West….It is like buying a software that needs a constant upgrade. So whenever there is a new version, there is a need to update the old one. If not, it will become sluggish or useless in comparison to the new one. Hence, African leaders are left to choose whether they should continue updating their institutions for their people or for the west. Alternatively, they can choose to abandon the old system all together, which may not be feasible in this global world. However, with a good and strong leadership, it is possible to borrow new ideas from the West and adapt them to African realities for the betterment of African people. The prerequisite for transforming or adapting good ideas from the West for Africa local use is good leadership. In other words, this cannot be done in a vacuum of a good and strong leadership. Leaders who do not have the people and country at heart have no place in the new Africa. Such leaders only import ideas that benefit them and their cronies instead of the masses. Unfortunately, this has been the hallmark of many leaders around the continent. The good news is that some African leaders, such as John Magufuli of Tanzania and Ian Khama of Botswana are on aggressive transformation moves that are incorporating some of the best practices from the West with local values and practices to advance their people and countries. Leaders such as Thomas Sankara, Patrice Lumumba, Julius Nyerere, Kwame Nkrumah and Jomo Kenyatta just to name a few that have done great job in the past. Unfortunately, Africa problem remains the lack of continuation of good leadership to continue on the good work of the few enlightened leaders. Arguably, the great United States was once a new nation whom leaders imported ideas from ancient civilizations like Egypt, Rome and Greece to create a new and powerful system that is not perfect but constantly updating as well. Imagine African leaders importing great ideas from around the world to create the next superpower. This is possible with excellent leadership. Author Sekou KessePosted on November 18, 2017 Categories African Leadership, UncategorizedTags African development, African love, African peace, African union, African unityLeave a comment on Importing western ideas is not new or the problem but leadership is… African Leadership Crisis. The African Affairs on Sekou's Style. Blog at WordPress.com.